Summer is synonymous with fresh ingredients, vibrant colours and refreshing flavours, and what better way to experience the best produce of the season than by finishing off your foodie experience on a sweet note, with summer’s most delectable desserts. Here are some of our top picks in this season’s dessert trends and where to find them at Southgate. This sweet Italian dessert has grown in popularity thanks to its smooth, creamy texture, and is tipped to feature on the most discerning of Christmas lunch tables. But don’t be fooled, it’s not as difficult to make as My Kitchen Rules might have you believe. The culinary creatives at Pure South Dining have transformed the classic Panna Cotta into a textural feast. Combining the creamy consistency of the Panna Cotta with the crunch of a sweet biscuit and macadamia crumb, Michelin Star chef David Hall also adds a hint of in-season citrus. Read to the end of this article for his recipe, guaranteed to impress your festive season guests this summer. The fancy French bistro-style sister to the humble pancake. There’s nothing quite like a crepe garnished with seasonal fruits and bursting with summery flavours to brighten up a weekend brunch. Southgate’s dessert experts at Damon Bradley have the crepe menu covered with a range of savoury and sweet options to suit any taste. Our pick? 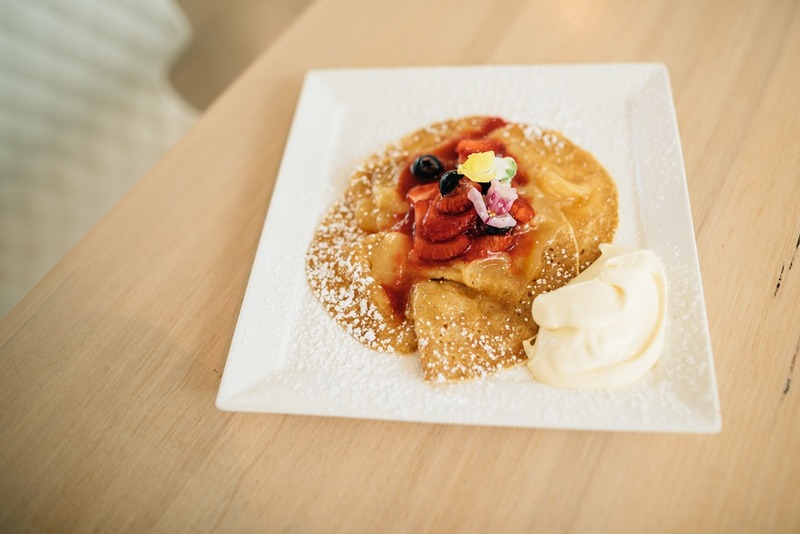 The Devonshire crepe filled with the award-winning Damon Bradley lemon curd topped with fresh berries. Not all desserts need to be in the solid form. Behold…the Spritz! The quintessential summer drink, best enjoyed with sweeping views of the city skyline. This refreshingly light wine-based cocktail is commonly served as an aperitif in Northeast Italy and has made its way down under with a vengeance. If sweet treats aren’t your thing, head to one of our long-standing favourites, The Deck Restaurant for their Aperol Spritz Sundays. Sip on the most classic of the spritzer varieties for only $10 each, all through summer. Want to try something more daring? One of Southgate’s sexiest late night watering holes, Waterslide Bar, has reinvented the spritz with their signature “Tinder Date” cocktail, the perfect accompaniment for flirtations on their leafy riverside balcony. 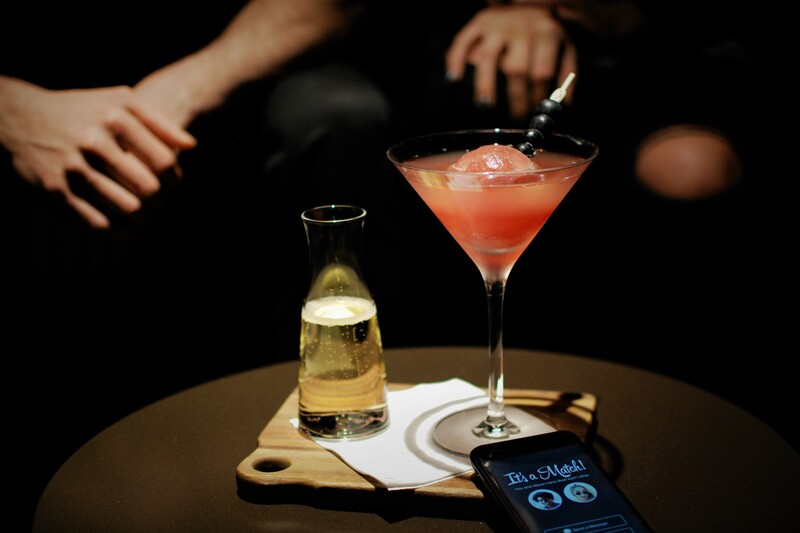 The refreshing drink combines delectable French Loire Valley Cremant Sparkling with fresh berries and yuzu. Citrus, citrus everywhere! For a not-too-sweet post-dinner treat, try a refreshing bite of zesty juice to quench the thirst as the weather warms. 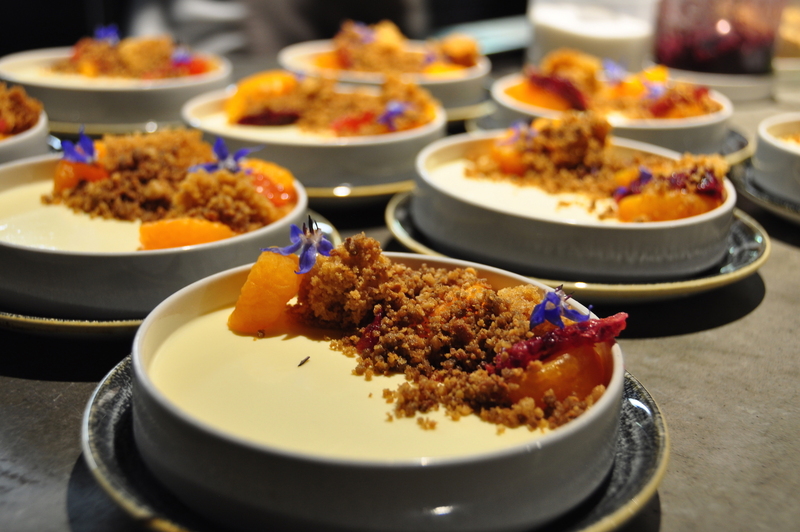 RC&A Italian Restaurant of the Year 2017 recipient Tutto Bene continues to dazzle with their culinary prowess, this time in the form of a buffalo milk Panna Cotta (see, we told you the Panna Cotta was popular!). This dish heroes the mandarin, the less common but equally impressive member of the citrus family. The mandarins are soft poached and complimented by Nonna’s crispy crostini. Melted, grated, baked or moussed. We couldn’t go passed this dessert staple. Southgate’s stable of chefs continues to stir things up this summer with variations on the traditional chocolate dessert. ENA Greek Street Food has put a Greek twist on your standard chocolate dessert with their Karithopita: a chocolate & walnut semolina cake drizzled with sweet syrup. This mouthwatering walnut cake is scented with the aromas and blends of cinnamon and grounded clove. YUM.